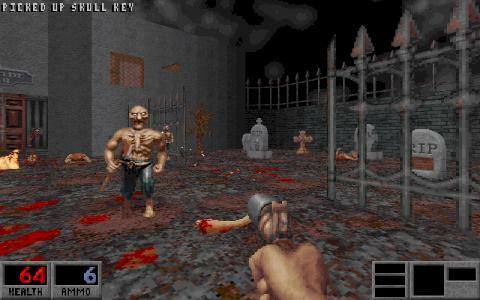 Blood is an extremely violent game, a hidden gem in the horror first person genre, that is often unheard of by gamers. 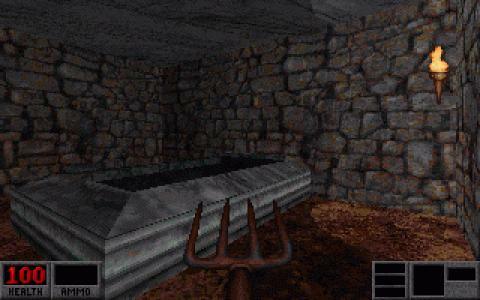 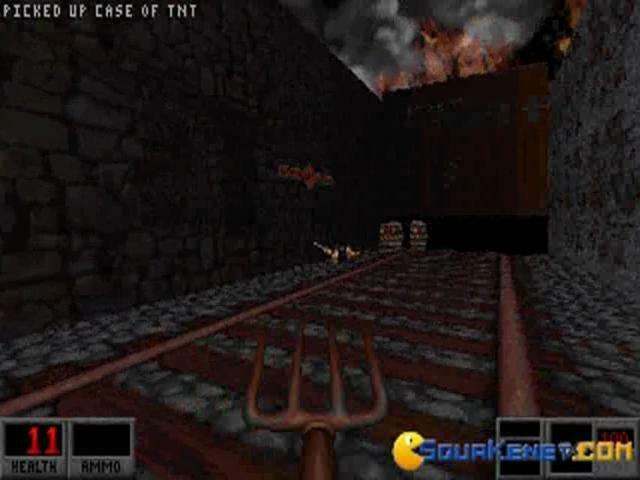 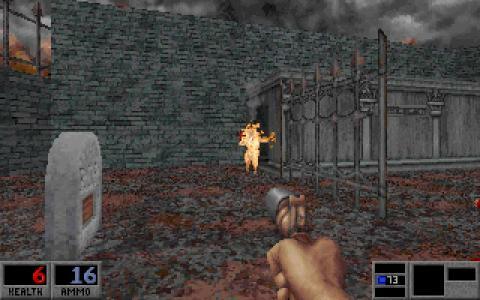 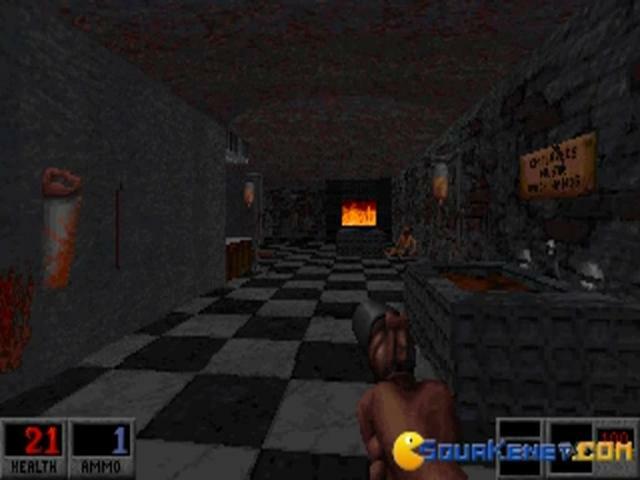 The game has similar style gameplay to the Quake gameplay engine . 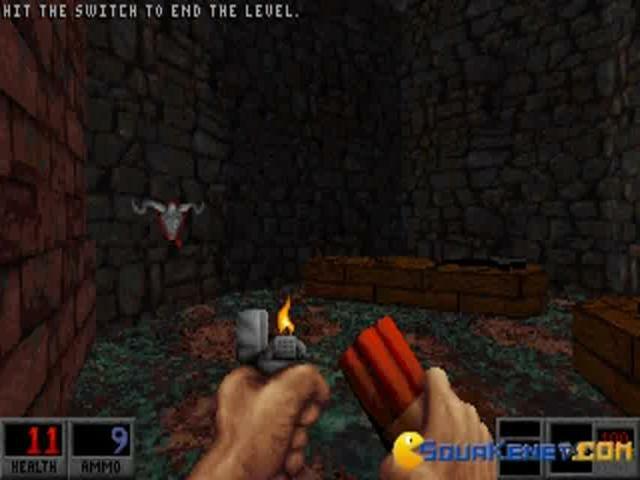 It's over the top violence makes the game humorous but a game for mature audiences. 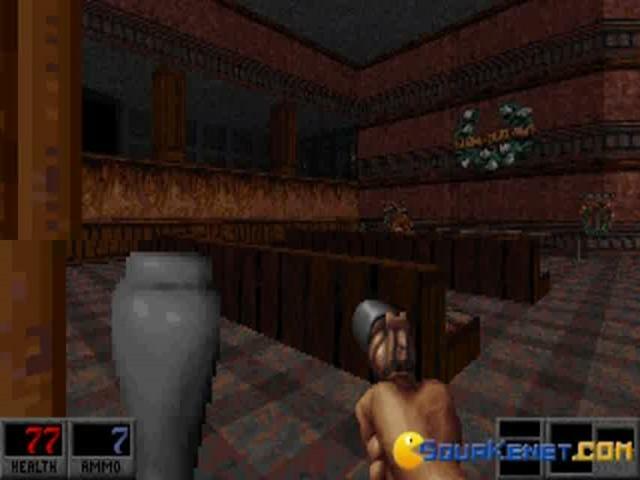 It has a lot of weapons, with a new feature in FPS 3D gaming, the ability to fire weapons with a secondary fire option like in Unreal Tournament. 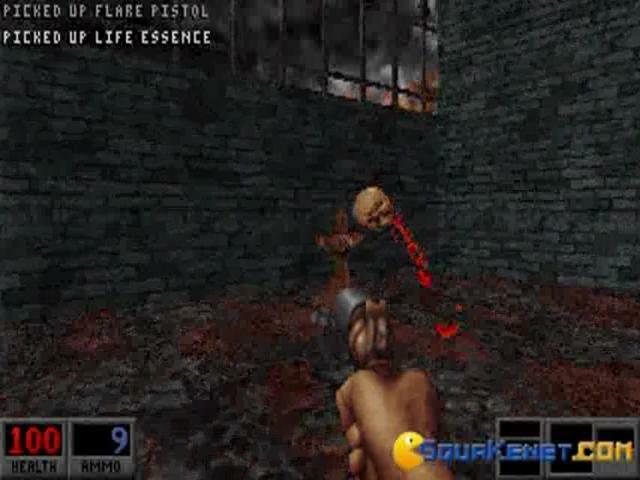 The ideas behind the weapons are really funny like a voodoo doll that kills enemies, yet will hurt you if there is no enemy around for it to be used on. 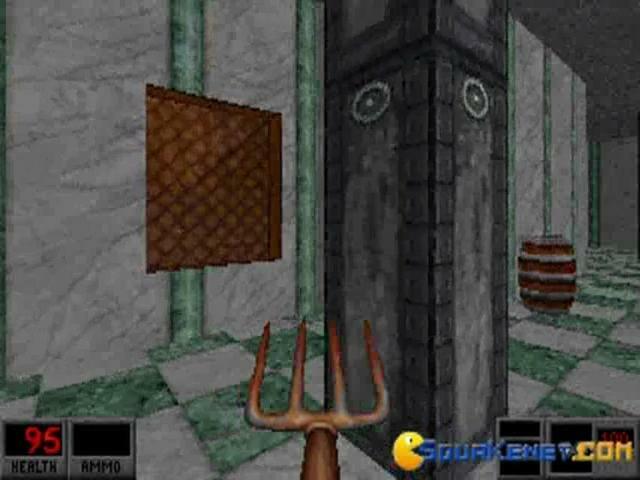 The games plot is relatively simple, you are trying to escape a cult and hell bent on revenge, or something to that similar storyline, the games plot is fairly non existent as the gameplay is mainly focused on action. 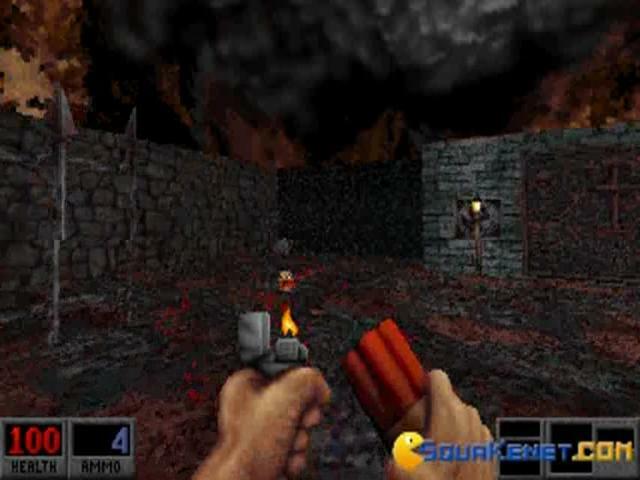 The enemies often act like zombies or simply are zombies and are tightly grouped together, so a well placed stick of dynamite or an explosive weapon will send body parts flying. 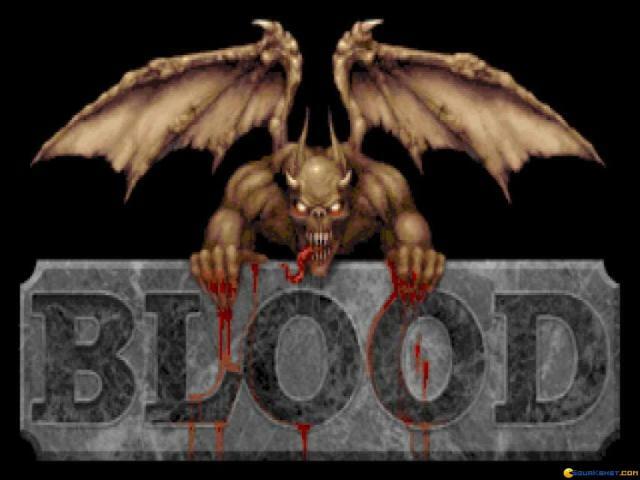 When I mention your enemies and body parts go flying, I mean literally all over the map. 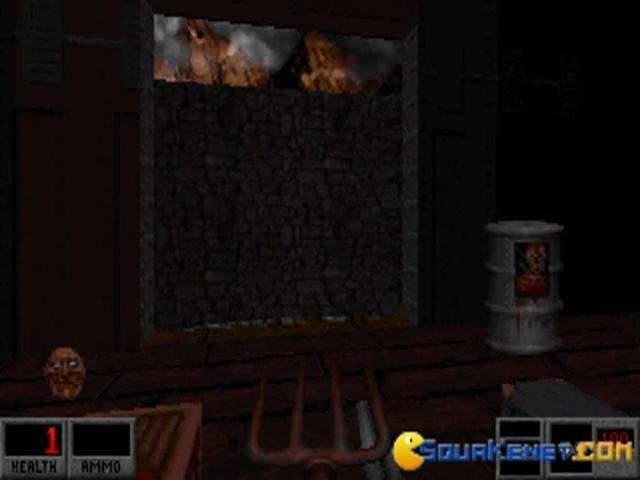 It is so over the top violent, I have no idea how this game got past the censors or is not more well known. 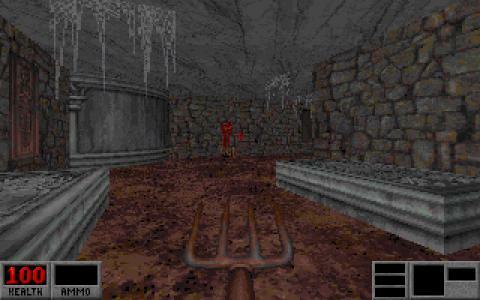 The game is quite lengthy with many hours of gameplay without having to repeat areas, the graphics are good, the layout is interesting and creepy. 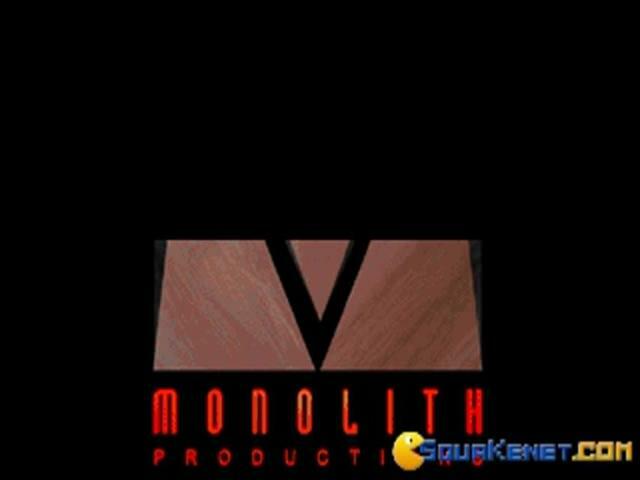 The multiplayer is good but was not used much, mainly due to the lack internet for it's era. 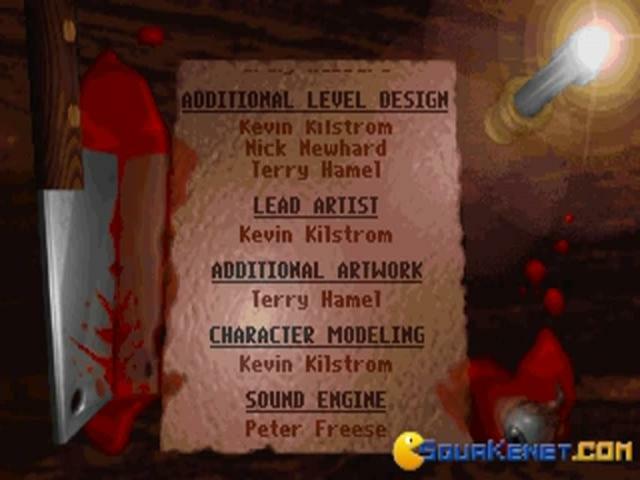 Overall an excellent game. 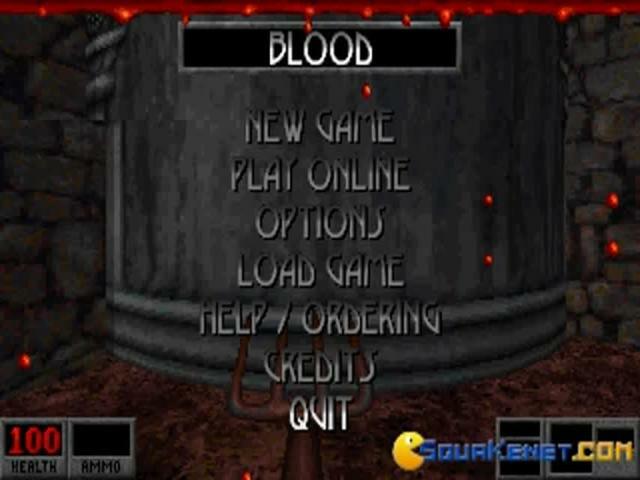 I believe this game is slowly achieving the recognition it deserves thanks to the internet and I believe there are even projects in the works to re-create the game for modern computers.